This museum re-opened in July 2006 after a three year refurbishment. 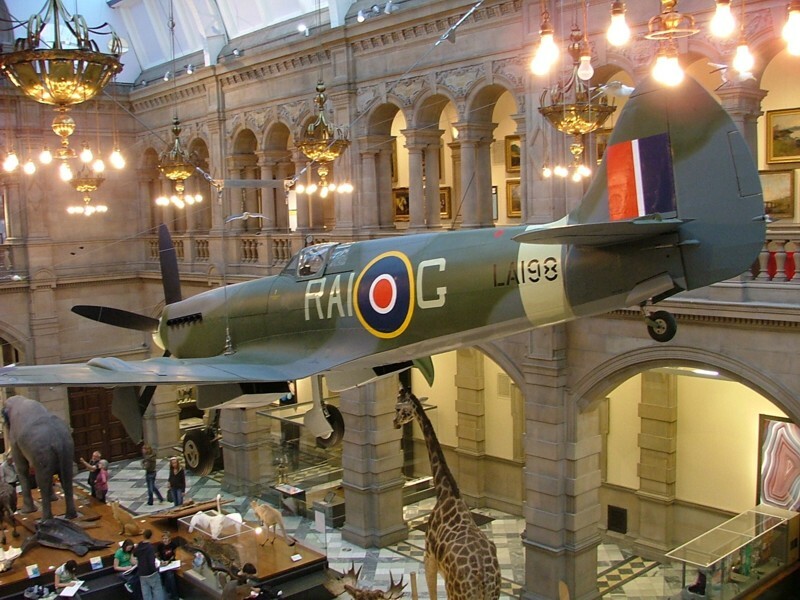 The most visited museum outside of London, Kelvingrove houses some 8,000 works of art. 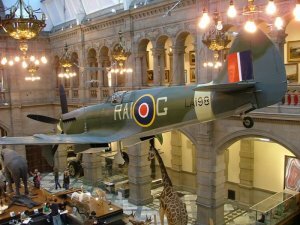 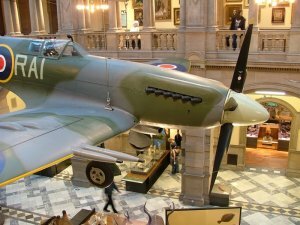 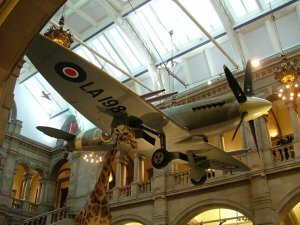 These include the Spitfire F.21 LA198 from the 602 (City of Glasgow) Squadron, the Charles Rennie Mackintosh gallery and a collection of Egyptian treasures. 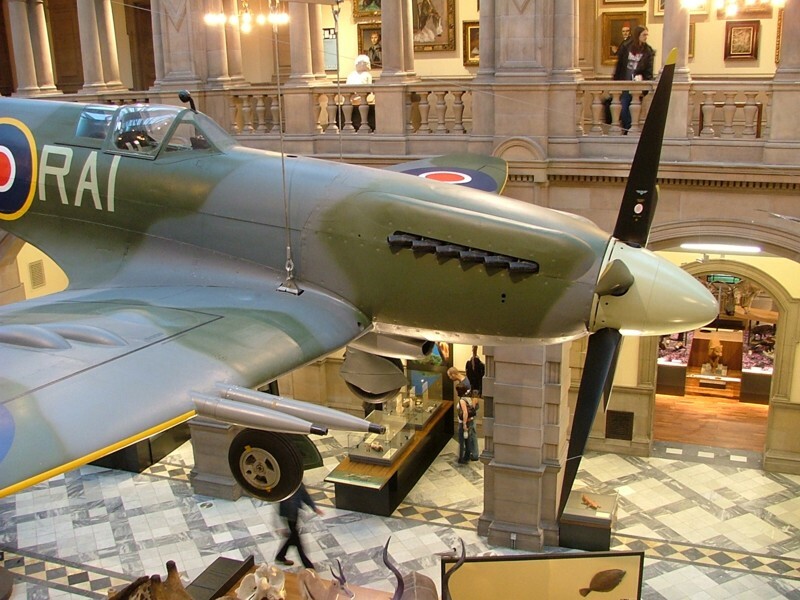 In Glasgow’s West End, directly opposite the Glasgow Transport Museum. 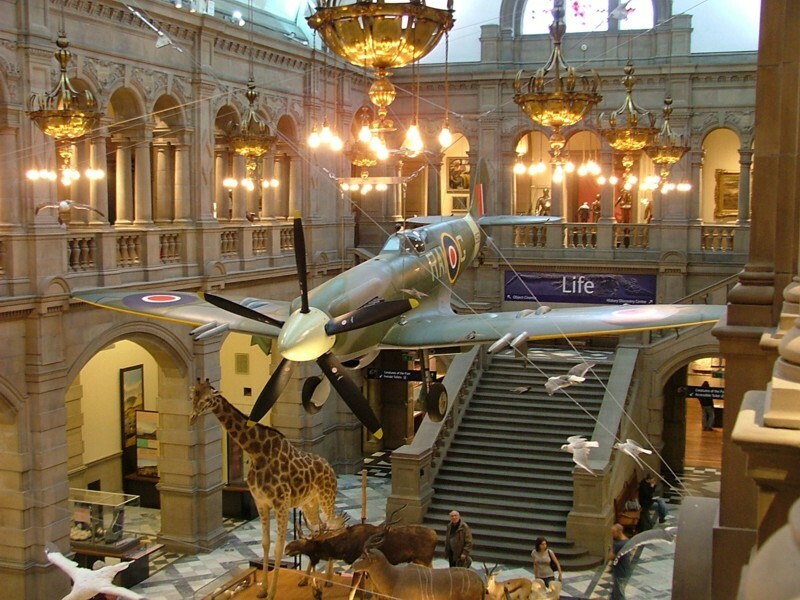 Open Monday to Thursday and Saturdays 10.00 am to 5.00 pm, Fridays and Sundays 11.00 am to 5.00 pm. 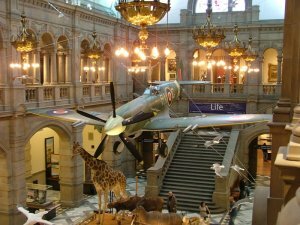 Toilets, Cafe, Souvenir shop, Full access for the disabled.